Choose How Long to Exercise - While the ACSM recommends 20-30 minutes, you may need to work up to that if you haven't exercised before. It takes time to build endurance in your heart and muscles, so start with what you can handle and add a few minutes to each workout to work your way up gradually. For example, a beginner might start with 10-15 minutes of walking or cycling and build from there. Choose Your Intensity - The guidelines suggest moderate intensity, which is around Level 5-6 on this perceived exertion scale. Start with a comfortable pace to get a feel for the exercise. Once you feel comfortable, you can push a little harder. Basically, you want to work at a level where you can talk, but only in short sentences. A great way to work on endurance without having to work hard the entire workout is with interval training. Try walking fast for 1 minute and then slowing down a bit for 1-2 minutes, alternating that for 20 or so minutes. Choose How Often You Exercise - If you're a beginner or not sure what you can handle, start with three days a week with rest days in between. You can add more days once you feel ready for more frequent exercise. Lanza I, Short D, Short K, et al. Endurance Exercise as a Countermeasure for Aging. Diabetes. 2008 November; 57(11): 2933–2942. Nelson M, Rejeski W, Blair S, et al. 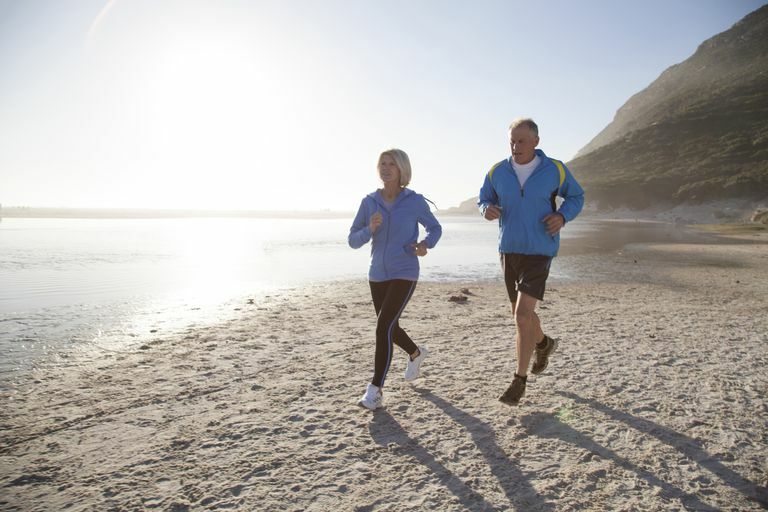 Physical Activity and Public Health in Older Adults: Recommendation from the American College of Sports Medicine and the American Heart Association. Circulation. 2007;116;1094-1105.